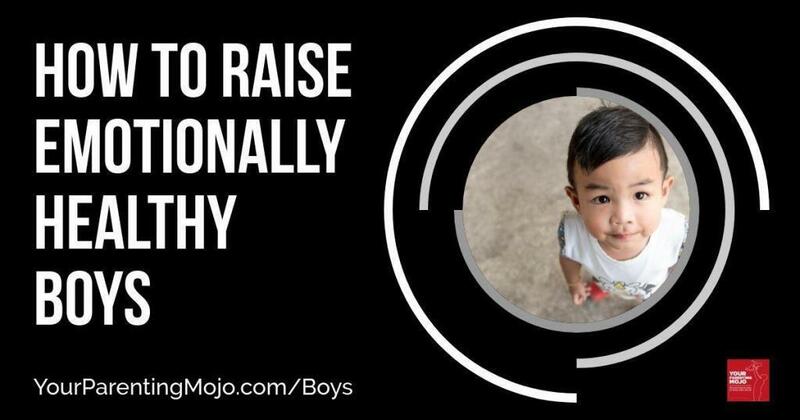 Boys hear these things all the time – from parents, from teachers, from friends and peers. What does it do to their emotional lives when they crave close relationships but society tells them to keep emotional distance from others? Join my guest Alan Turkus and me as we quiz Dr. Judy Chu, who lectures on this topic at Stanford and was featured in the (awesome!) documentary The Mask You Live In. This episode is a must-listen if you’re the parent of a boy, and may even help those of you with girls to understand more about why boys and men treat girls and women the way they do. Don’t have a boy? Check out How To Raise A Girl With A Healthy Body Image. Maccoby, E.E. (1990). Gender and relationships: A developmental account. American Psychologist 45(4), 513-520. Miedzian, M. (1991). Boys will be boys: Breaking the link between masculinity and violence. New York, NY: Doubleday. Pollack, W. (1998). Real boys: Rescuing our sons from the myths of boyhood. New York, NY: Random House. Jen: 00:40 Hello and welcome to the Your Parenting Mojo podcast. Regular listeners may remember that a few weeks ago, I interviewed Dr Renee Engeln who wrote the book Beauty Sick on the topic of raising girls with a healthy body image. Even though I don’t have a son, I know a lot of you do, so in today’s episode we’re going to talk about some of the challenges associated with raising sons and how we can be better parents to sons, and specifically how fathers can be better parents to sons. So since I am not a father and don’t have a son, I figured I’d better find someone who is both of those things. So today I welcome a co-interviewer, Alan. Alan grew up in New Jersey with a comfortable middle class family whose father was physically present and not physically abusive, but who had what Alan calls embarrassing spasms of anger that came with yelling and throwing things and when he wasn’t angry, he was pretty emotionally absent, so Alan feels as though he didn’t really have a great model for this whole fathering thing, but he wants to parent his own son differently and it started to take some steps in that direction, but he isn’t really sure if it’s enough or what else he should be doing. Welcome Alan. Jen: 01:44 And to help Alan and I figure all this out. I’m so excited that we’re joined today by Dr Judy Chu. I first learned of her work on the documentary called The Mask You Live In, which you can rent on Amazon or on Netflix and I would highly encourage you to do that even if you’re the parent of a girl because it really helped me to understand some of the reasons why boys and men treat girls and women the way they do. Dr Chu is featured in that film and when I looked her up, I saw she’d written a book called When Boys Become Boys, which I devoured as soon as I got it, and I knew she was the right person for us to talk with. She also teaches a course on boys psychosocial development at Stanford University. Her work aims to support boys healthy resistance against societal constraints that undermine their connections to themselves and others. Welcome Dr. Chu. Dr. Chu: 02:28 Thank you. It’s a pleasure to be here. Jen: 02:31 So Dr. Chu. I wonder if we could just start sort of in the weeds a little bit here about your research because a lot of the studies that we cover on this show are experimental in nature and that means that some researchers take some children to the lab and maybe they do something to make them uncomfortable and then they give the children a difficult task and see how they respond and then we try and generalize that behavior out to the real world and I’m familiar with the quote from the great psychologist Urie Bronfenbrenner who called this the science of behavior of children in strange situations with strange adults for the briefest possible periods of time, but your research takes such a different approach from that. Can you just tell us a little bit about how you go about studying boys? Dr. Chu: 03:11 Sure. Well, I guess the best way to describe my research is exploratory studies because like you at the time I hadn’t grown up as a boy and I didn’t have a son. And so in a way it was very much like anthropological research where I was going to learn from boys about what it was like for them to grow up as boys amidst, you know, a culture that has specific messages about what it means to be a real boy, quote unquote, or a real man. And I wanted to learn from the boys themselves, you know, what they’re capable of knowing and doing and relationships. So a lot of my methods really involved kind of like ethnographic observations. Just really trying to approach the boys as… I even told them that they’re my teachers because I don’t know what it’s like to be them. And so really looking to them as key informants and then kind of participating in their everyday lives at school as a participant observer. Dr. Chu: 04:01 So watching what they were doing, but also asking them about it and kind of really centering everything around developing kind of trusting and comfortable relationships so that they would talk to me as I was, you know, obviously different. I was an adult, I was a woman and kind of letting them get to know me so that they could feel that they could tell me things or share with me or also tell me if they didn’t feel like sharing things with me, which was also a part of the process. So I really wanted to respect and honor their wishes and their levels of comfort and then following up those observations later in the year once we had established relationships with interviews that I did – conducted either one on one with the boys or the boys in groups and that just depended on their preference. I would ask them, do you want to meet with me on your own or do you want to meet with me with some of your buddies? Dr. Chu: 04:45 And they would let me know what they preferred because I brought toys to my meeting and because they were some times more desirable character that each boy wanted to play with. That became a way of getting to meet with them one on one because they didn’t want to have to kind of negotiate who got to be which characters and whatnot. So, um, but it was really very much based on what’s called the relational approach to psychological inquiry, which really kind of tries to account for the fact that the stories people tell us or the things that they share with us about their lives really depends on how they see us and how they see our motives and really starts from a place of, you know, placing at the center of the relationship between the researcher and the participant. Jen: 05:24 And so how many times did you meet with the boys roughly? Dr. Chu: 05:27 Let’s see. I studied them throughout their pre kindergarten year and then followed up in their kindergarten year. I went at least once a week for two to three hours a week. And let’s see. I probably had about 48 days that I was there. And of those 48 I probably did interviews on 36 to 38 of those days. And so I met with them quite frequently and it was kind of eventually became on-demand, so I’d show up and the boys would kind of, you know, this was much later once they felt comfortable with me, but I’d show up and they’d come and request like, can you meet with me today, can you take me today? And then I’d try to make sure I met with everyone who had asked to be met with. And then also some of the boys who are a little more shy or hesitant, I also would ask them and when they didn’t feel comfortable, I’d let them pass and then if they wanted to then we eventually met in that way. So I tried to kind of, you know, more or less meet with at least everyone who wanted to. And eventually all of the boys did meet with me several times, so, you know, a handful but some more than others. Jen: 06:24 So this is very different from pulling a kid into a lab and get spending them in a five minute experiment and generating a result at the end. And I know that with an experiment you can potentially reach a larger number of people. You studied a relatively smaller number of people and I’m curious about the generalizability of your results. Can you talk a little bit about that? Dr. Chu: 06:43 Oh no, that’s a great question. Yeah, of course. I’m happy to talk about that. One of the things that kind of drove my research was that at the time, and this was in the late nineties, nineteen nineties, a lot of the literature on boys was not really talking about their relationships and the centrality of relationships in their development because relationships were kind of deemed feminine. And so it’s like, Oh, if you’re going to study relationships then you should be looking at girls because that’s what girls do. And so the boys relational capabilities and kind of their styles and all those things were very much overlooked or underestimated or just kind of neglected. Like, you know, some of the books that had been written with just say, oh well boys don’t really hardwired to talk about emotions and relationships. And so there was really this missing discourse in the literature on boys. Dr. Chu: 07:29 So what I really wanted to do is go in and focus on the boys perspectives to learn about their experiences and the relational approach that I adopted was very much based in studies that had emerged out of questioning traditional psychological methods which kind of approached experiments or studies as kind of what they call the black box approach where you think, okay, this person is this mysterious black thoughts. And like you said earlier, you know, we can manipulate situations and kind of see how they respond and try to guess at what they think about it. But my mentor at the time at Harvard, her name is Carol Gilligan. And one of the things that came out of her work in addition to the research on girls’ relationships and girls’ development that came out of the Harvard project on girls’ development and women’s psychology was this method that really said, you know, you can ask people about their experiences. Dr. Chu: 08:14 And if you create a context or a situation that is comfortable and familiar and trusting and inviting, people can tell you what they’re thinking, and you can trust that. And so the approach was really that the boys know something about their experience and they can tell me about it if I can create a situation that makes them able to be open and honest with me. And so yeah, in a way it’s probably seen as a little bit more of a radical approach to psychological inquiry. But in terms of the kinds of questions that I wanted to examine, it was really the most appropriate method as opposed to coming in and, you know, because one of the things that I document in my book is just how long it took, you know, several visits, maybe 10 to 15 visits before the boys started to feel comfortable with me because I was a stranger to them. Dr. Chu: 09:00 And understandably what they wouldn’t know if they could trust me or if they even wanted to talk to me. And so really giving them time to feel like, okay, who is this person? What does she want to know is safe for me to talk to her, do I even want to talk to her? And then finally kind of realizing that, you know, because I was genuinely interested in what they had to say really coming out and sharing with me things that, you know, sometimes they would say, oh, you know, don’t tell the teachers that I told you this or, you know, don’t let the other boys know that this is happening. Because a lot of them often felt that they were the only ones kind of struggling with some of the messages and pressures that were coming into their lives. Even at the young age of four. Jen: 09:37 Yeah. So you answered another of my questions, which is why did you get interested in this if you didn’t even have a son yet? Dr. Chu: 09:46 That was a really wonderful question and if I could just, I’ll try to speak very briefly about it, but I was actually brought to this study by boys themselves and it actually started with work with adolescent boys because my first year at Harvard, after I went home. I was driving around my brother and his friends, they were all 13 years old so they couldn’t drive and one of his friends kind of said to me, Oh, Harvard, you know, tell us what you’re learning there, you know, basically sarcastically like “impress us.” And I said, well, one of the things I learned about was when you know, these studies of girls and how to support girls, and he, this 13 year old boy says to me, oh, everyone’s so obsessed with girls, they’re talking about girls and how to support them and that we need to support them. Dr. Chu: 10:24 He goes, and that’s fine with me, but nobody’s talking to boys and we have something to say too. And he goes, “I know you should study boys; you should start with me.” And so I went back to Harvard that fall, told my advisor Carol about this, and she said, you should go back and study him. Clearly he has something to say. And so when I went home for winter break, that’s what I did. I started with an interview with this 13 year old. He talked for two hours about, you know, just kind of things that were, what was going on with him, what was hard, what was easy, what was on his mind. And I actually spent the first year of my studies studying adolescent boys, but what I found was that by adolescents they had already started to kind of reconcile the discrepancy between this is the way people think boys are and this is the way I experienced myself to be and the fact that there’s a gap between those things is just the way things are and you have to accept that gap as a part of growing up. Dr. Chu: 11:22 So that was kind of what I was seeing and hearing from adolescent boys. And so Carol said, you know, you really need to start earlier when they’re still in the middle of struggling with that discrepancies when they’re not yet kind of reconciled to the fact that people just aren’t going to know what they’re really like. And so her hypothesis was that what she was observing or had observed in adolescent girls, which is kind of this heightening of pressures for girls to conform to these feminine ideals and stereotypes, that the girls then had healthy resistance against. She felt that, you know, in our patriarchal culture where men still have most of the privileges in terms of power and status, that she thinks that in patriarchy they go after the boys earlier at the boys start hearing things like, don’t be a sissy, don’t cry, don’t be a Mama’s boy. Dr. Chu: 12:08 Those messages come in earlier. And her theory or hypothesis was that it came in at early childhood. So she said, why don’t you go in and find out, you know, what’s going on for these boys. And at first I was actually a little bit worried about that because I hadn’t been working with young children very much. And because I felt like, oh, I could talk to adolescents, I just finished adolescence, but I didn’t know what to expect with the younger kids. And they were amazing, you know, once we’re able to establish familiarity and comfort and trust. They were just as welcoming as the adolescent boys and it’s open to sharing. Once they knew they could trust me and that I really wanted to know what they had to say. Jen: 12:44 Okay. So you mentioned about how our society defines masculinity and I’m curious about Alan’s perspective on this and I think the whole “boys don’t cry.” Is really common. Was that the way you were raised on? Alan: 12:55 I think that I wouldn’t say I was raised that way by my parents in terms of, specific way, you know, criticized if I cried or anything like that, but I do think you get the cultural influence just out in the world about it’s maybe not it’s not safe have certain kinds of emotion. Jen: 13:16 So if your parents weren’t giving you that message, where did you get that message from? Alan: 13:21 I think you get it just through media, through interacting with other kids and adults. I would guess…and I can’t point to a specific incident, but you know, you learn by if you do express emotions and somehow you get embarrassed by it or somebody says something, then you’ve kinda learned to ratchet things back because it cannot be safe to be so open emotionally. Jen: 13:51 That safety of being open emotionally seems like a pretty major theme in this work Dr. Chu. Do you see that as well? Jen: 14:35 But it seems as though when our culture does is sets up… Our entire culture is this hostile and unwelcoming place for boys and men to express those feelings of insecurity? Do you agree? Dr. Chu: 14:45 Right. I think that unfortunately a lot of the conventional constructions of masculinity really focus on this ideal of men having to be physically and emotionally tough and stoic and kind of self-sufficient, not needing to tell anybody their problems and having to kind of bottle it all up and I think that it’s been demonstrated a lot even in the media, I think there’s kind of the popular messages just are slowly starting to deliver the message that it’s not healthy, it’s not good for them, it’s not good for their relationships and that there are long-term health consequences as well as short term kind of unpleasantries that can result when our emotional expression becomes stifled. Can you give us some examples of those? Well, I think, I mean the most kind of obvious would just be it can contribute to feelings of isolation that one is alone loneliness or even if they have, you know, a ton of Facebook friends or if they’re in the crowd, they can still feel lonely because nobody knows what they’re really like and it can just basically get in the way of their efforts and they definitely boys throughout childhood and adolescence and into adulthood, definitely continue to seek connections and to resist disconnection. Dr. Chu: 15:52 So if their goal is to really connect with others in authentic ways where they feel genuinely known and accepted and they’re having to withhold certain things because standards of masculinity tell them “boys don’t talk about these things,” then it really becomes a big obstacle to achieving the things that they want to getting the kinds of relationships that they obviously strive towards and desire. Jen: 16:15 So it’s like society is saying you can’t have this openness. They desperately want this openness versus it says if you have this openness, you’re not a real boy, you’re not a real man. Dr. Chu: 16:24 Right, right. So there’s like conflicting messages that are confusing for them for sure because you know, they’re trying to figure out what’s the right thing to do, what’s appropriate, what’s desirable. And ironically sometimes it’s that boys get the impression that the path to social acceptance and approval is to conform to these masculine norms, but then certain aspects of those constructions of masculinity inhibit the very things that will enable the connections that they’re working towards. And so they’re kind of in this buying the conformity to those kinds of norms that tell them, you know, you’re not supposed to talk with people. You’re not supposed to reveal the fact that you need other people in your lives. That undermines their ability to reach out when they need help to offer help, when they can be of help and like to really establish those kinds of mutual reciprocal relationships that will be protective in many ways for them. Alan: 17:13 So Dr Chu, in your research, you saw a big shift happening in boys while you were studying them. And I’m curious how you identified when that shift would happen and what the nature of that shift actually it was. Dr. Chu: 17:31 That’s a great question. I think what with the shift, it was not something that the boys told me about. It was something that I observed in their interactions with each other and with their parents and then also experienced in their interactions with me. So one of the things that, you know, when I first started studying these boys, my mentor, Carol Gilligan actually came with me during the first couple of months and did observations and then we’d kind of talk about what we had seen. And so some of the things that had struck us, for instance, where the boys’ ability to be really self aware and sensitive to other people’s feelings and attuned to kind of that social dynamics that were going on. And also one of the things that really stood out for us was this incredible tenderness between the boys and their fathers, much more so than with their mothers. Dr. Chu: 18:16 Because I think they had already started to learn that little boys aren’t supposed to cling to their mothers when they arrive to school, but somehow the message hadn’t been transferred over to fathers and so the boys were very, very tender, very loving. Some of them would cuddle with their fathers when they arrived, sit in their laps, read together and kind of settle into the day in a way that was so peaceful and loving and really kind of started the day right for them. And so these were things we had not expected to see because you know, based on stereotypes or images of boys as kind of rowdy and rambunctious and moving too much to even be hugged or held or whatever. It was so contrary to that. And so we kind of followed that and watched for that over the years because I started in the beginning of the school year. So that was the Fall. Dr. Chu: 19:00 And then into Spring there was kind of this gradual, like more of a distancing. Like it’d be more of a high five instead of a hug and a kiss. And it depended; it varied by the boys. They didn’t change at the same time. Some of the boys were able to still give hugs and kisses and feel very comfortable in that, but others were like, you know, you can give me a high five or a handshake and kind of being very aware all the time. Do you know who’s watching this interaction, you know, which of my friends is seeing this, you know, who’s watching me interact with my parent and how do I need to conduct myself? And so they went from being just, like I said, one of the things that had impressed me with how just open and honest, they were, not just in terms of being positive towards each other, but also in terms of when they’re mad at each other, when they’re angry, they talk about it. Dr. Chu: 19:41 They said, you know, “I’m upset with you because you did this and that wasn’t fair.” And they talk about it to kind of feeling like they couldn’t talk about it as much. That just how I described it was kind of. They went from being really fully present in their relationships in terms of expressing a whole range of qualities and behaviors and feelings to starting to adopt a pretense that sometimes word for word echoed characters they had seen on TV or heard in commercials or hurting the song and be a kind of this posturing that again, kind of imported language or phrases or attitudes and postures or poses that they had seen either in the media or maybe in older siblings or in people that they had interacted with. And that shift really reflected how they were actively reading and responding to messages that they were hearing from their peers and from adults about what it meant to be a boy. Dr. Chu: 20:30 And it was never very explicit in terms of, oh well boys shouldn’t do this. Although occasionally media you’ll hear something like, boys don’t cry or boys will be boys and the implication is that boys don’t do emotions or relationships. But then and then also just kind of pressures to conform, which were really motivated by their desire to be able to identify and relate to the other boys in their class. So what does it mean to one of the boys in this class and how can I engage with them in ways that won’t make me stick out or be teased or be excluded. Jen: 20:58 Alan, do you ever do drop off? Daycare drop off? Alan: 21:03 I do. I drop my son off at school every morning. Jen: 21:06 Okay. What have you seen? Alan: 21:09 You know, my son is four, so I think he’s still on the young side and still at a pretty open point and still pretty emotionally available and so generally, you know, he always wants to give me a hug and a kiss and I see him being, you know, it works well. It’s interesting. I drop him off every morning because he can be pretty clingy with his mother and not want to separate. So while he’ll be readily emotionally available with me, he doesn’t actually have a hard time separating with me like he would with his mother, which is why I do the drop off every day. Jen: 21:51 You know,, we actually face a similar thing with my daughter; I had to do drop off this morning and it wasn’t pretty. And normally my husband does it for exactly the same reason. So I guess what I’m curious about here then is as Alan’s son gets older, he’s going to start to notice probably what the other kids around him are doing and especially if it’s four year olds and five year olds in the same class. He’s probably observing what the five year olds are doing too and maybe it’s a little bit different. And is there a way that Alan can encourage his son to keep that really emotionally available quality that we feel as though we want our sons to have still have them not get teased about it when dad leaves and they have to go and be with their friends. Dr. Chu: 22:32 I think in part it varies by the child, you know, and if he’s comfortable in being himself and kind of saying this is who I am, this is what I have with my dad. It actually became a point of… I think the other boys were jealous of the boys who were able to kind of have those moments of affection with their fathers. And so like for instance in my book, I know you read it, Jake and his father were just, they really stood out, you know, because Jake’s father was this kind of warm and loving and just really comfortable with himself and Jake adored his father and he would hug and kiss and climb on his back. And sometimes like when his dad was on all fours and Jake’s on his back, the other boys would come and climb on his back. Dr. Chu: 23:09 And when the father left actually in addition to getting a hugging his from Jake, he’d sometimes get hugs from the other boys too who kind of wanted in on the action. And so they do crave it. And as long as there’s no one kind of gender-policing them, even when there is, I mean, in my book there was one of the boys who was a little more adherent to the codes of masculinity. And so sometimes he would question other boys like, you know, what are you doing? And Jake, because he was so comfortable with his father and because they had this amazing relationship that very much was based in their home life, but spilled out into other contexts and became wonderful protective shield in a way. And so because he had those things, people could say, oh, you know, what are you doing there? Dr. Chu: 23:53 You know, when he was snuggling with his dad and goes, “I’m snuggling with my dad” because he said it so competently, you know, what can they do? Right? It’s kind of like bullies or people who want to kind of coerce you into something else. I’m going to pick on you if they think they can influence you. But that confidence, which has his relationships with his mother and father instilled in him, gave him the confidence to kind of deviate in a way that was really good for him, but in a way that also protected him from peer pressures that might otherwise sway him to say, Oh, I better give that up or I better tone that down. And so in a way Carol, my advisor, really said, you know, Jake, he’s kind of the epitome of this healthy resistor, you know, and that resistance is fostered in the home because his parents basically said if you don’t want to do something, don’t do it. Dr. Chu: 24:35 And they gave him language and permission to really question things that didn’t feel right to him. And so you can definitely kind of create this bubble that they carry with them or that they kind of can live inside of. It’s just hard to protect boys from the messages that inevitably they’re going to encounter either by people that you know, because we can’t control how other people interact with our children and we can’t control what the messages the media conveys. But we can teach them to read it and to question them, to know that they don’t have to inevitably be subject to those rules, those arbitrary rules that other people say they’re supposed to be and do. And even four year olds are in a position to have that kind of competence. And I see it very much as coming from the parents. Dr. Chu: 25:17 So that’s one way to kind of maintain and to support his ability to be so emotionally available and say I really value this. And as he gets older, if he finds out, oh, you know, it’s not always safe, which sometimes unfortunately can happen in schools and outside in society to really kind of say, okay, well maybe you can’t be like that everywhere, but there are safe places, safe relationships in which you can bring yourself very openly and honestly and that you can always feel safe and you know, so it’s kind of creating those protective relationships for them that they then can take into the world even when the world is not as supportive. Jen: 25:50 Alan, have you had any kinds of conversations like that with your son? Do you feel as though you have the tools to have those kinds of conversations? Alan: 25:58 We make a real effort to not stifle his emotions and to get him comfortable with just emotions generally. So, you know, there’s some good books that we have. There’s a book called F is for Feelings, which basically just goes through a feeling for every letter in the alphabet and that’s a really good book because it can get kids comfortable with identifying what the different feelings they’re having are and what they mean and by just naming things that can help them get in touch with them. And I know I always make an effort, if he’s crying to just say, you know, it’s okay, please go ahead and cry. You know, a lot of times you see parents, something happens and they want to just push their child because they want it to be over there. Like, Oh, you’re going to be okay, you’re going to be okay. Alan: 26:52 You know, something like that, you know, I’d much rather say, oh, go ahead and cry and get it out. Release the emotion. So we make a real effort around that. And my wife is very passionate about child development issues and we talk about this stuff all the time and she does a ton of reading. And so she brings a lot of resources into our family and we just have a lot of consciousness about it. I think a lot of families don’t have that way of thinking about it. And you know, one of the questions I had for Dr Chu is whether she knows of resources or tools that parents have that they can use to combat these cultural influences that we might not like or when we see things in our children that you know, how we deal with hard times with them. Dr. Chu: 27:42 Wow. That’s a wonderful question. First of all, I want to say that what you’re doing sounds exactly right. From what I’ve heard from the boys and from their families, that’s exactly what works is this kind of validation of their feelings. Allowing them, letting them know it’s okay to feel what you’re feeling. It’s human, it’s natural to cry. All these things. It will nurture his self acceptance, which again contributes to that confidence that enables him to resist pressures or messages that might not be helpful to him as he goes through life. But in terms of resources and tools, I mean I think the fact that your wife is reading a lot and you’re both very aware of it and kind of conscientiously making decisions about what you want to do. I think those are all exactly the right things to do. I think some of the biggest maybe missteps or mistakes or just oversight that parents do as they maybe don’t take their kids as seriously. Dr. Chu: 29:33 One of the boys in my study actually, Jake I met with last year or so because it turns out he’s living here in San Francisco and he’s now 27 years old. So I was able to have coffee with him and ask him to reflect back on what he felt as he was going through this, what he remembered and he, you know, in terms of what you remembered from when he was four, I was a little more limited, but he reflected back on his childhood and adolescence because as you can imagine, somebody who is a resistor like that who says, you know, this doesn’t feel right for me, so I’m not going to do it – it’s an endless struggle but a worthwhile one. And I always asked him, you know, so what enabled you to feel supported in resisting those things? And he very much pointed to his relationship with his father and his relationship with his mom and also his older brother. Dr. Chu: 30:16 And they were just very much – it didn’t mean that life was always easy. It just meant that they could always talk about it no matter what. And one of the things that his father brings up that I describe in my book in the chapter on what the parents shared, which I learned so much, you know, you’re not expected to be perfect all the time and in fact the kids kind of benefit from seeing the mistakes that we make and knowing how we’re struggling and again just are talking through it with them, enables them to then have tools that they can then bring to their own problems and adapt and apply. So if I had an easy fix, so I would definitely share it. And then probably be very wealthy. Jen: 31:25 Yeah, I felt as though what Alan was hoping for and there was a book to read or some thing to do and what you’re telling us I think is kind of that he has already. He and his wife have the tools that they need. Jen: 32:10 It seems as though just that mind shift of allowing your child to experience their emotions as their authentic selves and for them to see you seeing that and being okay with that is what they need more than sort of any tip or trick or checkbox that you can go down. Am I sort of reading that back right? Dr. Chu: 32:29 Absolutely. And it even matters more than, them necessarily getting their way. You know, they just want to feel that you’re listening and you’ve heard them and you’ve considered it, and if the answer is still no, but I hear you and I understand what you think, then that gives them the feeling that they matter, that their voice matters, their feelings matter, and you’ve validated that, but you’re saying, you know, the situation is just this and you can always give them like a choice, like you want to leave now or in five minutes, you know, you can, there’s ways to kind of soften it a little bit. But yeah, like you said, the most important thing is that they feel listened to and even more than they got their way. Right. Jen: 33:02 So I want to look at the flip side of this a little bit. We’ve talked about Jake and his amazing relationship with his father and I want to read a passage from your book about Mike and his relationship with his father and specifically what that looks like at dropoff. So it goes “When Mike’s dad prepares to leave by asking Mike for a hug and a kiss. Mike walks slowly and self-consciously toward his Dad, stands with his arm, set asides, and allows his Dad to hug him. While in his Dad’s embrace. Mike makes a face like he slightly annoyed or feels inconvenienced by this exchange and let his body go limp like a rag doll. However, there is a brief moment when Mike smiles slightly or returns his Dad’s hug by placing his hands on his Dad’s back before letting his arms fall loosely at his sides again and resuming his air of indifference as Mike and his Dad finish their hug and begin to pull away from each other, Mike’s Dad gives me a kiss on the cheek, which Mike subtly wipes away by gently brushing his cheek with his fingertips. When Mike’s Dad catches him in the act and asks playfully. What are you doing? Mike responds with a guilty smile and they separate affably,” and so that sort of really stuck out to me, particularly in contrast with the story about Jake because it’s almost like maybe Mike was like Jake a year ago and something has shifted in Mike that hasn’t shifted in Jake and I’m wondering to what extent is it just the health, the ability to separate it from a parent and to what extent can we tease out is it that there’s something deeper going on and the Mike is beginning to deny what his needs are as a person for connection with his dad and is there something that a parent in that situation could do to sort of opened the gates back up again? Dr. Chu: 34:34 That’s a great question. A little bit ties to Alan’s question about there being a single source or even a small group of sources and resources and this is why it’s hard to recommend even my book, sometimes is because it really does depend on the kid, right? You know, each individual is different and so when I used to publish about my research, I would get calls from people saying, Oh, well what should I do with my kid? And I said I’d have to meet to know what to tell you what to do, but there’s not like a universal thing like you can’t. Even for awhile one of my colleagues was saying, well just take them out for ice cream. And I’m like, some people are allergic to dairy! Jen: 35:08 Cashew ice cream! Dr. Chu: 35:08 So that even in terms of Mike, I think you noticed something really that was really central to what was going on for him. And for those who haven’t read my book, it’s like he was kind of seen… I saw him as the bully in the class. He was the tallest boy. He was the toughest boy. He had this just really “don’t mess with me” exterior. And oftentimes he would kind of coerce the other boys into doing things that they didn’t necessarily want to do. And so at first I wasn’t super fond of him, but then it turned out during my study, during those months that I was observing him, his parents were going through a separation which was incredibly hard for him. And so he was developing this kind of tough exterior because he was actually the most vulnerable of all the boys at that time. He had this huge concern that people were going to suddenly leave him. He didn’t want to be abandoned. And so he was really trying out this like… If I force people to stay with me then they can’t leave me kind of thing. Dr. Chu: 36:03 And he also was just, you know, playing around with like, how do I deal with these…for him were probably these unbearable feelings of nothing, feels predictable. I thought my parents were going to be both in the house, all the time… And so just kind of what they’re dealing with. And I think if we’re going to compare him to Jake, I mean his parents were in a very loving, very strong marriage. And so he definitely came from a different situation. That’s not to say that they couldn’t both end up being fine, but it’s just that Mike had a lot more going on and so, you know, he was definitely kind of developing this persona that he felt he needed to project to show everyone, you know, I’m fine, I’m okay and nobody can hurt me. Everything he did kind of was about protecting himself from being hurt. Dr. Chu: 36:45 And so yeah, I mean I think with every kid you need to meet them where they are. Every kid has a different personality, a different temperament. They bring something different to the situations and they also have access to different resources. And so in terms of supporting them, again, coming back to Alan’s question, it’s like I would encourage parents to really trust that you know, your kid best of anyone else in the world. You’re the one who’s going to love them the most and want the best for them. And if we’re lucky, we have other people who want to be supportive. Ultimately we are our children’s biggest champions, right? And so, and we’re the ones that they’re going to look to and rely on to help them get through whatever they’re getting through. And so it becomes very much custom tailoring our support to what our kid needs. Dr. Chu: 37:28 And so I think if I were to think of like a “solution” to it is just for parents to be able to trust themselves more. I think there’s so much insecurity and uncertainty around parenting these days. I certainly feel it. And in the years that I struggled on behalf of my son and what he was going through and what I needed to give to him. I think what I kept coming back to as needing to be reminded that I know something about this. And in that sense, people always say “Oh, did studying this help you as a parent?” I’m like, if only to give me a little ounce of confidence that I might know what I’m doing because there’s so much doubt. You know, there’s other parents, there’s teachers who say, oh, your kid is this and that’s not good and whatever. Dr. Chu: 38:08 And it’s so easy to get sucked into feeling like I don’t want to do more damage and so how can… I think even parents who decided: I need to toughen up my kid, it’s because they want to protect them from being bullied or picked on and whatever. And so usually the parents have these really wonderful intentions and I think the best thing to do is to learn also to kind of sit with what we know and say, you know, even though other people say this or even though the popular thing is to do this with kids, this is not for my kid to be able to have the courage to kind of say, okay, this is going to be our choice. And that’s really, really hard because there really are pressures all around not just for our boys but also for ourselves. Jen: 38:44 Yeah. I obviously have no idea what happened later in that day when Mike got home from school. But I wonder, and certainly the moment at school was not the right time for Mike’s Dad to sit down and say, hey, it seems as though there’s something going on with you right now, but I would hope that maybe later in the day Mike’s dad said, “Hey, I noticed that you didn’t really want to be hugged when we left daycare or school. Is there something you want to talk about what’s bothering you?” And maybe start a conversation about what’s going on in the child’s life and really seeing that instance of behavior as a signal as your child trying to tell you something, not just as a, Oh, that was interesting, and then you go out to the car and go to work and don’t think about it anymore. Dr. Chu: 39:22 Or sometimes the kids even forget and so that it’s not necessary that we analyze every situation unless there’s like a red flag or something. You can always just try to reconnect because in that sense the relationships are very resilient. The kids are resilient and the relationships are resilient and the more that we can kind of demonstrate that as well, so like if the father was to come home and if that was on his mind just find another way to kind of reconnect and to be present like, oh and that wasn’t the right context because as you mentioned that’s in his school context. It’d be Mike doesn’t want to be all vulnerable and exposed in the school setting where he feels that his peers are watching just like his father wouldn’t in his workplace necessarily be emotionally available, but then to kind of notice when the opportunities are that you can slow down and just be together sometimes that some of the parents mentioned, you know, when they’re putting their kids to bed, that’s usually a nice quiet… Everybody settled. Everyone’s calm and able to be present or bath time or sometimes car rides were they’re in the back seat and you’re in the front seat and they just are able to say whatever’s on their mind. So it doesn’t have to be like an interrogation or anything like that, but it can kind of be like, oh, you know, is there anything on. There’s always second chances and I think that’s also good for boys as well. And also girls to learn to know that, you know, it’s not all or nothing. You can make mistakes and you can still come back into relationship and it’s still there that teaches them about the durability and the strength of the relationship. Alan: 40:47 I find that to be actually a really key point, you know, as a father, I really make an effort when I do something that is upsetting or I get angry or something happens where I think my son is maybe having a hard time to try to come back to when he’s in a better place or when I’m in a better place or both in a better place and just kind of process that together. I’m always surprised by his capacity to really do that at such a young age and how that yields real benefit. I plan to do that today. Actually, this morning we had a hard time getting out of the house for school and I got a little bit angry at him and I plan having a conversation with him later today about, hey, you know, let’s talk about what happened this morning. I know I was pushing you to get out the door and you wanted to jump on the trampoline and we were late and I got angry and I don’t want to do that. I’m sorry I got angry. But I also want you to, you know, when I tell you it’s time to go to be able to say, oh, okay, we’re running late. Well let’s go. Alan: 41:58 So you know, to have a conversation about it where we can process it in a better way than it went this morning. That I think that creates a sense of closure for him. It also brings up another point around… That’s behavior that I want to model for him because I think the modeling thing is really important just in general as a father to present a set of behaviors that I think he can witness that are healthy and then adopt. And that goes across a whole range of things, not just around if I get angry coming back to him, but just how I treat other people in general, how I am as a father and how I am as a husband, you know, doing an equal amount of work around the house an equal amount of parenting, you know, all that stuff. Like I want to model all that behavior for him because I think if that’s what he sees, then that’s what he’ll want to present himself out in the world. I’m curious what your thoughts were about the idea of modeling and how that can interacts with all this. Dr. Chu: 43:07 Oh, I think that what you just described sounds perfect. I really agree with you entirely that, you know, it’s so important for boys and girls to see men doing, you know, a range of things so that this is what men can do; girls as well – because you want their expectations and conceptions of, well, what do men do? What men do as far as what the men do as husbands to really be influenced by positive role models. I think that’s incredibly important and wonderful that you’re doing that. Even if he doesn’t grow up to be exactly like you, he knows that this is a possibility and it offers an alternative to maybe some of the mainstream messages, which actually comes back to also, we talk about this concern about some of them more damaging or harmful aspects of masculinity that get portrayed in the media. Dr. Chu: 43:54 And so when you ask kids any age, he said, you know, what does it mean to be a man? They do have this kind of, Oh, you gotta be tough. You’ve got to be powerful, whatever. But then if you ask them what does it mean to be a good man, they can tell you that also. And so it’s somebody that who’s loyal and loving and responsible and that those alternative… Or the fact that there are multiple masculinities. There are multiple ways to be good men or to be a man or to be a boy. And that’s exactly what you’re showing your son when you model these things and demonstrate this range for him is that there are options; that it’s not just one very narrow conception of masculinity, but that there are ways in that, you know, whatever feels right to him. And also like you said, you know, showing him how you treat people and this is how you’re in a positive, good relationship. This is what it means and what it looks like that he will definitely benefit from that. And that’ll be a source of strength and support for him as he moves forward. Jen: 44:49 Alan, I have about 300 more questions for Dr. Chu, what’s on the top of your list of things to cover? What do you desperately want to know? Alan: 44:57 I want to talk about the idea of how parents can deal with influences that come outside of the home. You know, if they notice that their son is having issues with other kids at school or you know, even other adults… But maybe we could just talk about that whole general issue about stuff that happened that you can’t control that’s outside of the way you would like it to be and how you can help your son deal with those kinds of things when they come up. Dr. Chu: 45:34 I love these questions. I think that in terms of dealing with external influences, what you described in terms of modeling and processing together is a great example of what to do; it can be extended and applied to that situation as well, that you talk to them about it. Because we can’t control how other people behave around our children or how they treat our children unfortunately. And there’s always going to be things that are less than optimal that you hear a coach or a teacher say to your kid and you’re like, oh, I really hate that, or even even to say to someone else’s kid, that your kid happened to see. And so really invite them to talk about it with you. That it’s okay to talk about it. It’s okay to criticize it or question it and ask what’s going on. Dr. Chu: 46:13 Why do you think they said that? What do you think they meant? Do you agree with that? Here’s what I think; what do you think? Then that way, again, it’s not presented as this truth that they’re not allowed to challenge or question, but an instead it’s like this person is coming from here and maybe they had a hard day and that’s why they said this or something that was unpleasant. Or maybe it wasn’t about you. Even though it hurt, it was hurtful, and so kind of processing it together in much the way that you had described you do with your sons about things that happen between the two of you. You can extend to other people as well. You can help them to know again that we can’t control what other people do or how other people treat us, but we can decide how we respond to that and how we make meaning of that. Dr. Chu: 46:53 And so really joining them in that process of like, okay, this thing happened and unfortunately these days there are so many bad unfortunate things that are happening both on a personal level in terms of how people treat us or interact with us, but also on a wider level and so really giving your kids these tools or skills to make sense of that in a way that preserves their sense of integrity. Like this is what I value, this is what I believe, but also allows them to kind of consider what else might be going on; other people’s perspectives, why might they have done that? And even if I don’t agree with what they’ve done, I can maybe understand it or maybe you respect it depending on what the view is. And so I think in many ways what Alan described is kind of applicable to dealing with external influences as well. Jen: 47:40 Is there one other item on your burning question list, Alan? Alan: 47:44 Just as a kind of a follow up on that… In your experience in the research you did and then in your experience generally sometimes you know, it’s one thing to know that there is some kid at school that’s causing a problem for your son and you can actually actively coach him about it, but often time the parent may not know what’s going on exactly. Like in your research, did you find that the kids that were not at the top of the hierarchy, and might’ve been having a hard time, were their parents aware of what was happening? And kids are not always able to articulate what it is or they don’t want to talk about it or whatever and some parents might not… It might not be that easy to diagnose what the problem is, so I’m just curious about your thoughts about all that and how parents can best deal with it. Dr. Chu: 48:36 My wish is that parents could be more like both of you where they’re just really kind of paying attention as best as they can because I think the kids do bring it up because at age four and five they haven’t yet mastered putting up a front and so you know, even like if you look at like when they tell secrets, they’re whispering so loud that everyone can hear them anyway. And so I think that when they’re struggling with something there’s evidence there and so to kind of again take a little bit of time in parents’ busy schedules. So like one of the boys in the kindergarten year, there was a new boy and he came in and because he came in late, he was at the middle or lower end of the hierarchy and he was really struggling with kind of Mike being on top and everything and kind of harassing him because he was new and not yet accepted. Dr. Chu: 49:18 And so this kid came in. He would always tell me, “Turn on your tape recorder. I have to tell you something really important.” And so he tells me and he goes, you know, I want to be a part of this team, but they’re excluding me or, and they’re not letting me do this and that. And I said, oh well, you know, have you talked to your parents about it? And the thing that made me so sad when he goes, yeah, I tried to tell my mom, but she said, “oh, I think you’re just kidding.” You know, sometimes they say things. And then as adults we don’t always hear them be either because we’re caught up in the middle of doing something or I always find with my son, if he tells me the most important things when I’m doing five other things at the same time. Dr. Chu: 49:54 Exactly. They always know that I’m going to drop the big bombshell on you. I know you can’t..[unintelligible] And then when I’m sitting there and I say “I’m 100 percent attentive now” and he’s like, “Yeah, I have nothing to say to you right now.” But yeah. So I think a lot of times boys, they can tell us what they need. If they know that we’re really interested and so I always say that, you know, what I found with my research isn’t that remarkable because anyone who’s interested and listening can hear these… Boys will tell them these things. You boys can tell us what they need, if they know that we’re interested in understanding and that we want to help. And so again, like you said, they are very astute and they know who they can trust and they’re starting to be a little more careful as well. Dr. Chu: 50:42 And so if they know that you’re on their side and that you’re listening, they will tell you and they absolutely have the capability to do so. Maybe they don’t have super sophisticated vocabulary, but their level of psychological understanding is actually really, really impressive. And they do know what’s going on. When one of the boys said, you know, “Oh, I’m actually friends with all the girls, but I don’t want Mike to find out. Because if he finds out he’ll fire me from his club and then I won’t have a club.” I think is pretty sophisticated that he knows exactly what’s going on and the fact that he can’t reveal certain things because there are these consequences that he really would rather not have happened to him. And so when something bad is happening… And I mean with bullying again, it’s also just unfortunately it’s such a common phenomena. Dr. Chu: 51:24 I mean if not like the kind of physical bullying that happens is a very obvious problem and more visible in some ways, hopefully not more easy to deal with but just that people can recognize it. But there’s also more relational bullying and just kind of slights and taunts and teases. And so really kind of talking with our kids and preparing… Not preparing them for that, like this horrible things can happen to you. But just, you know, what can we do when sometimes someone says something that we didn’t like, you know, how can we kind of give them the tools so that they’re ready and teach them to defend themselves or stand up for themselves in healthy, productive ways. You know. And so, you know, first of all, you know, at that age, at four and five definitely report the problem to a responsible, trusted adult. Dr. Chu: 52:48 And then the kid went away. And I thought that’s great. So you kind of… It’s not necessarily to provide them with specific scripts but then supply them with a sense of entitlement to speak up for themselves to defend themselves or one way to kind of role play with them is say, well, if you were standing next to a good friend of yours and someone said this to them, what would you say? What would you say either to the person to the bully or what would you tell your friend to do? And don’t be afraid to stand up for yourself in that same way, because sometimes we feel more entitled to help somebody else, but then we don’t feel like we can do that same thing for ourselves. And just to say, you know, that’s totally okay to do and if you need help ask for it. And if you can give help offer it. And then that again is also this way of feeling like there are things I can do. Even though there are a lot of things I can’t control. Jen: 53:34 Yeah. I feel as though you’ve completely vindicated my decision not to take advertising on this show because there is nothing I need to advertise that parents need because they have what they need. They just need to listen to their kids and talk with their kids and have respect for their kids and that’s all…that’s really all a parent needs. Dr. Chu: 53:50 And it sounds really simple. I know, but it always comes back to that. It’s incredibly powerful. I always actually come back to Mr Rogers and his whole thing of “I like you just the way you are,” and how simple that is, but how powerful that can be as kids go out into the world, that feeling that they know they are accepted and the the confidence that comes from that, that allows them to then make decisions that feel right for them. I mean, I think so many of the problems that we see kids encountering are because they don’t feel that they have the right to say, I’ll treat you with respect, but you have to treat me with respect to and respect means I can be who I am as long as I’m not hurting anyone else, who I am is okay. In fact even good and how difficult that is to actually really foster in our kids and so if we can just get that right, I think that gives them a significant advantage as they’re entering the world and all the challenges that it presents. Jen: 54:43 Yep. I feel like we could talk about this for another hour, but unfortunately we’re out of time. I want to thank you Alan, particularly for just putting yourself out there and sharing your. A bit about your life with us, so thanks for taking the time. Alan: 54:56 Oh, you’re welcome. Thank you for having me. Jen: 54:58 And Dr. Chu for helping us to think through these issues and helping us to really feel confident as parents that we have the tools that we need. We just got to be attuned to our children that we have everything that we need to be good parents. Thank you for taking the time to think through that with us. Dr. Chu: 55:12 Absolutely. It’s my pleasure.